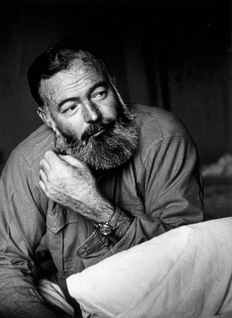 The Ernest Hemingway Foundation of Oak Park seeks a 2015 Writer in Residence. 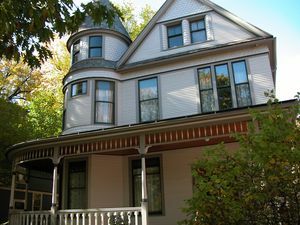 The Oak Park-based Foundation, which owns the home where Hemingway was born, is soliciting applicants for a year-long program designed to give writers what they most need in order to create great work: space and inspiration. The attic of the Hemingway Birthplace Home has been transformed from a dusty storage space to the place where a great novel, epic poem, evocative short story or groundbreaking journalism project will be created. The writer chosen by the Foundation will work in a newly redesigned office, outfitted as a safari writing retreat by Thomasville of Oakbrook and featuring their Hemingway Collection of furniture and décor. The writer will be given use of the workspace for one year at no cost (see application for details), and will be asked to provide cultural programming – lectures, workshops, presentations, or other programs – to the general public. Applications will be accepted through June 1, with the selection announced at the Hemingway Birthday Celebration in July in Oak Park. Start date will be determined by the writer and Foundation.